Tinker’s Retreat, originally the coach house to The Old Vicarage dating back to circa 1845, is a true holiday retreat. Drive through the large wrought iron gates, hang up the car keys, and sit back and enjoy the surroundings. 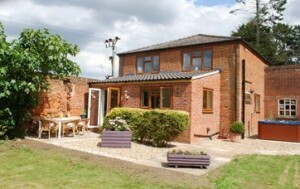 All on one level this property can comfortably accommodate up to 6 people. There are 3 bedrooms, 2 bathrooms, a large spacious lounge and a light and airy large kitchen to the rear with patio doors so you can step out into the private garden with a fabulous large private hot tub. 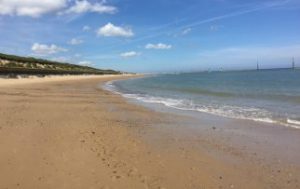 The property has been beautifully furnished to ensure a comfortable stay, and if you want to combine with The Old Vicarage next door, ideal for large family gatherings when you could then sleep up to 18 people comfortably. This property was originally used to build the fishing boats for the local fishermen by the famous Emery Brothers. 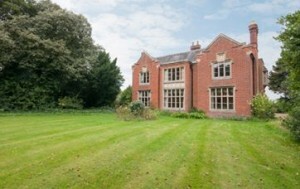 It has been converted into a holiday home retaining lots of its original features and character. 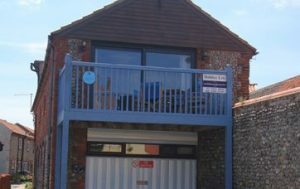 The Old Boathouse benefits from a first floor lounge with a balcony so that you can appreciate the superb sea views. 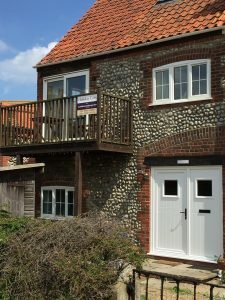 It is ideally located in the heart of Sheringham, very close to the town centre and the beach, so you can hang up the car keys for a few days as everything is right on your doorstep.